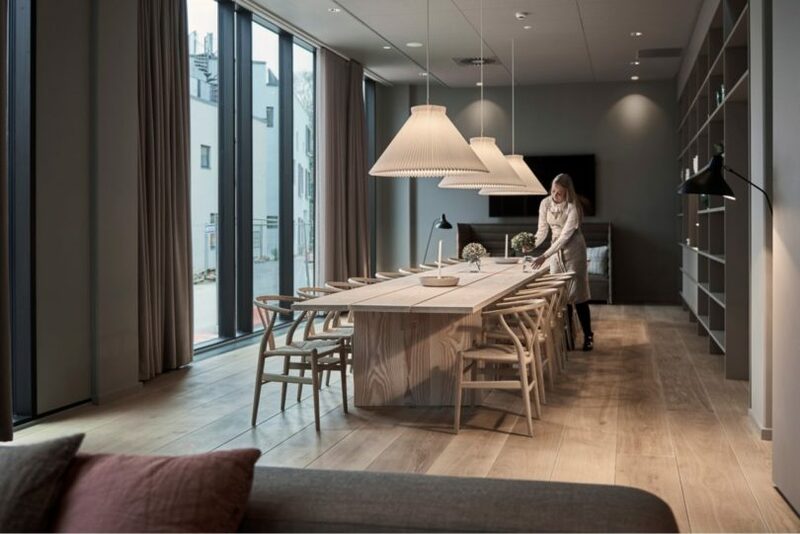 The city of Odense, Denmark is most well-known for being the home of Danish author Hans Christian Andersen, the man behind The Little Mermaid, The Princess and the Pea, The Ugly Duckling, The Emperor’s New Clothes and even the 2013 movie, Frozen. 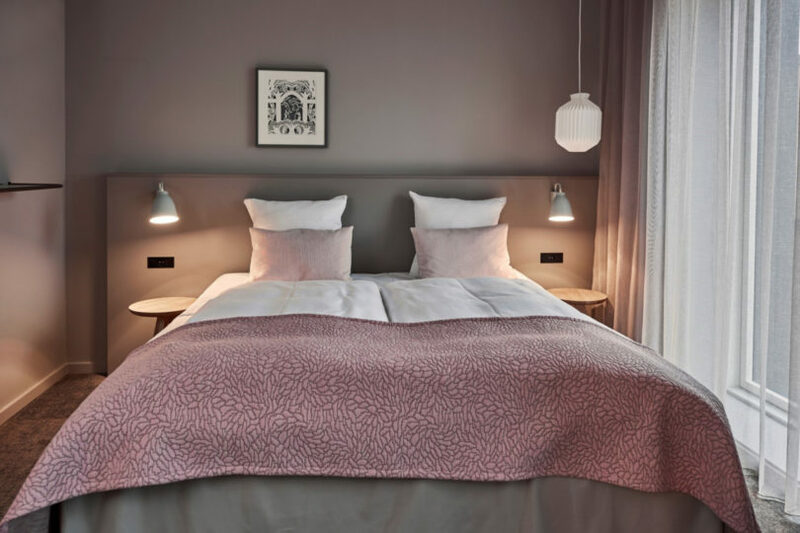 For all lovers of fairytales and literature who are taking a pilgrimage to the hometown of this famous writer, the newly built Hotel Odeon hopes to capture your imagination. 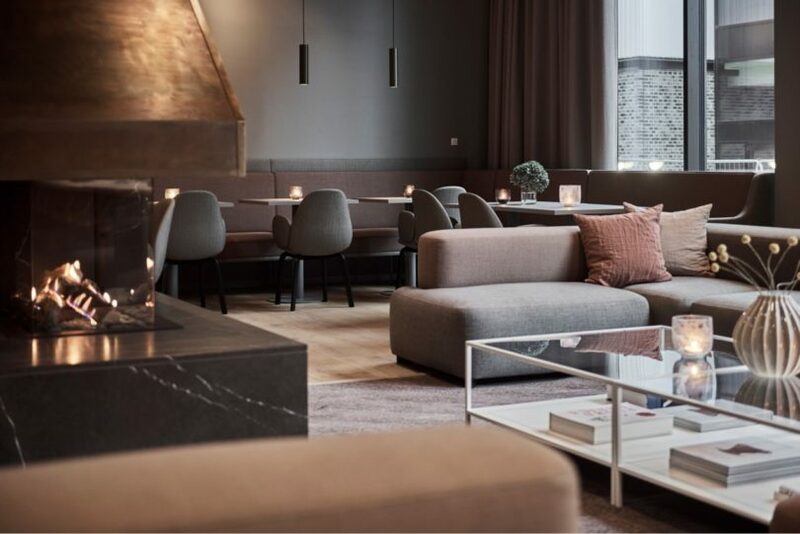 Designed by the Copenhagen-based office Co.Designstudio in collaboration with textile designer Barbara Bendix Becker, Hotel Odeon’s decor has that familiar Scandinavian touch, starting with the central fireplace in the lounge area. “It is a truly Scandinavian tradition to gather around fire. 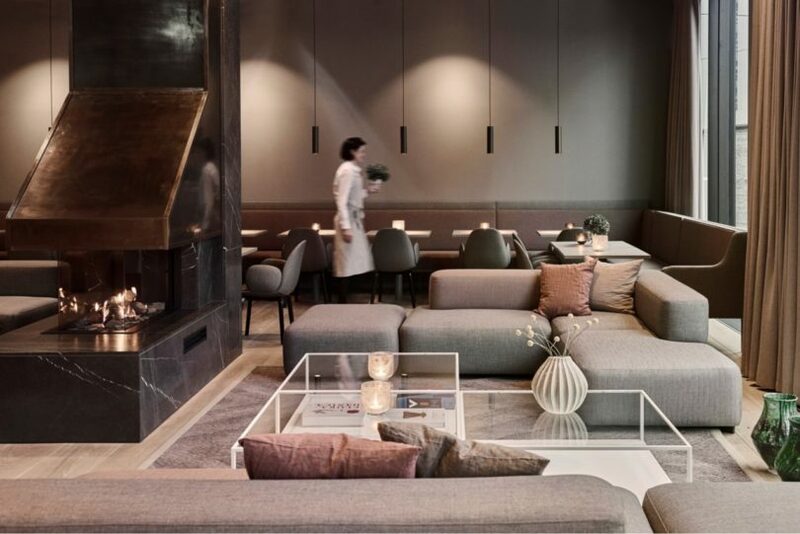 Life and activities have always been turning around the source of heat, and this is what we wanted to bring inside the hotel as well,” says Pernille Arlien-Søborg Henriksen, founder of Co.Designstudio. 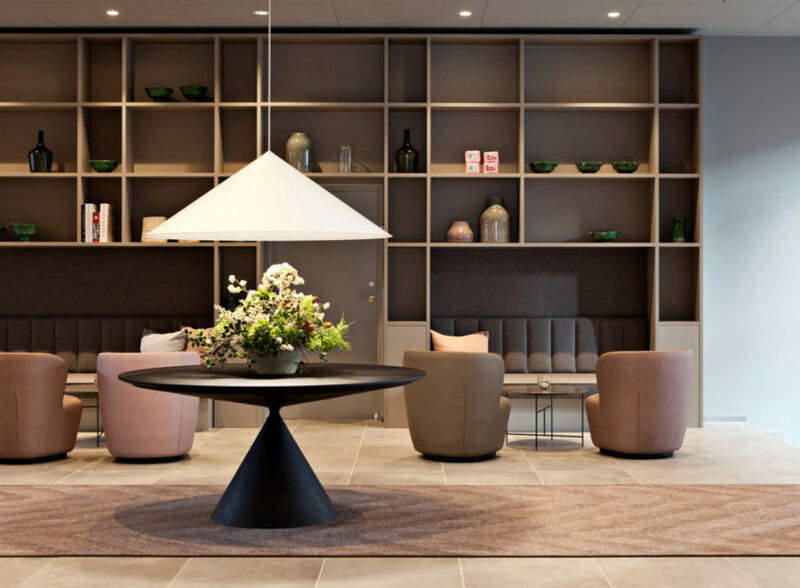 Mauve and brown Danish design furniture was supplied by Danish studio Holmris B8 and sets the tone throughout the hotel. 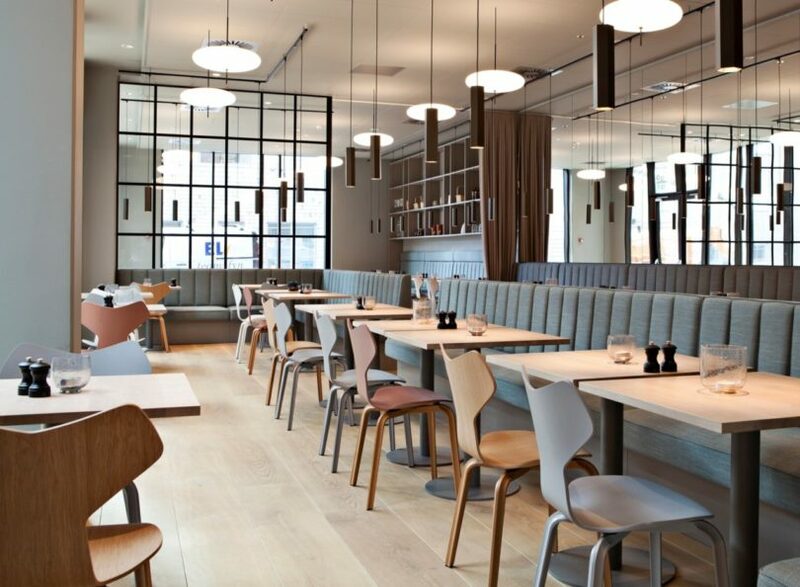 The floor is made up of specially treated, white-oiled oak planks, for a subtle cool contrast against the warm hues. 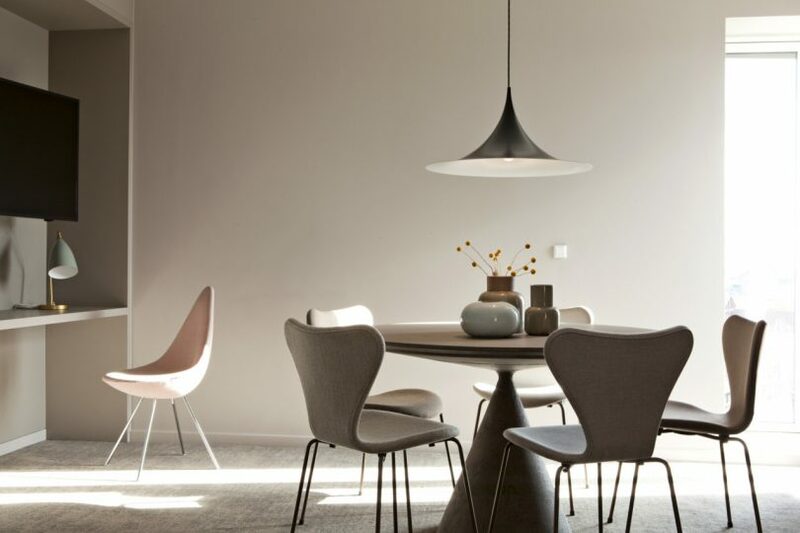 In the conference room, graceful pendants made up of custom folded lamps, by Danish lighting company Le Klint, cut a clean silhouette. 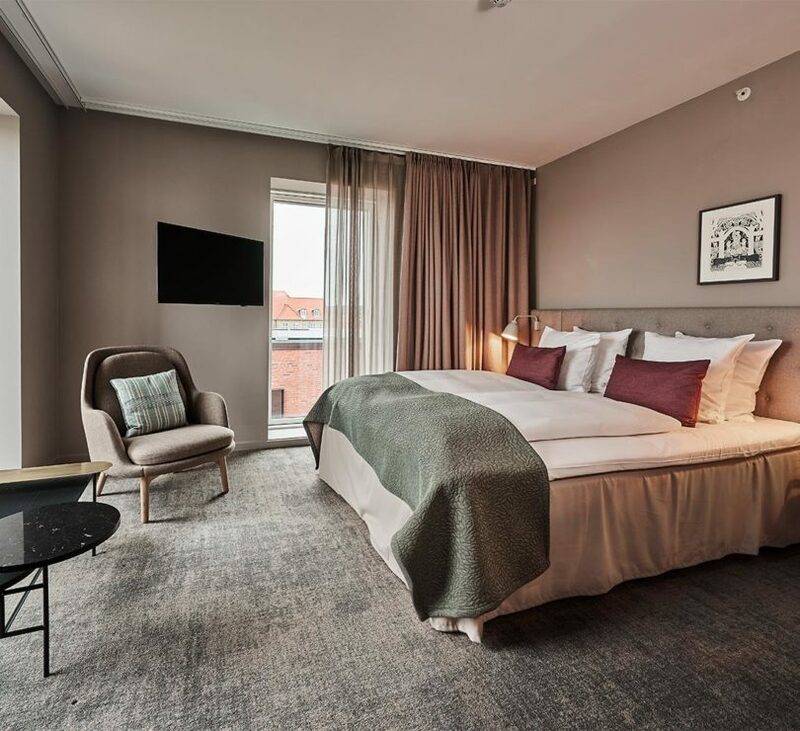 The hotel is currently the largest in Odense with 234 rooms.